You are at:Home»Food & Drink»Nut-free lunchbox options to satisfy even the biggest PB lovers! Let’s face it, kids love peanut butter for the taste, creamy texture, “spread-ability” with jam or “dip-ability” with crackers, veggies and fruits. As Moms, we love it because it’s easy to use, has a kid-friendly taste, provides protein, and is non-perishability. We are lucky not to have any peanut allergies in our family, but many people today do. In fact it’s estimated that up to 15 million Americans have food allergies, including 1 in every 13 children. That’s roughly two in every classroom across the country and about what it is in our school. And that means changes to keep all kids safe. PB&J used to be a lunch box favorite in our house, but like so many of you we are now nut-free at school because of the prevalence of allergies. So what’s a Mom to do? First, I’ve recently discovered Sneaky Chef No-Nut Butter, and it’s truly changed our lunch-box life! Sneaky Chef No-Nut Butter is a delicious peanut-butter alternative made from naturally sweet and “nutty” tasting yellow peas, but without a trace of peanuts, tree nuts, seeds, or soy. It is 100% peanut- and tree-nut free and produced in a nut-free facility. It’s all natural, soy free, gluten-free and contains no high fructose corn syrup, no hydrogenated oils and no artificial colors or flavors. Sneaky Chef No-Nut Butter is delicious indulgence straight out of the jar or spread on just about anything, and is a perfect swap for peanut butter in all your favorite recipes. Frankly it is so delicious no one in the family will miss the real peanut butter – allergies or not! But if your kids are looking for something different, or if you’re like many schools that have also restricted PB alternatives, here are three great but simple lunchbox swaps from The Sneaky Chef that both moms and even the pickiest of kids will love! Skip the nutritionally bereft cream cheese (aka “creamed fat”) and go for this simple swap rich with bone building protein and calcium and full of yummy taste! 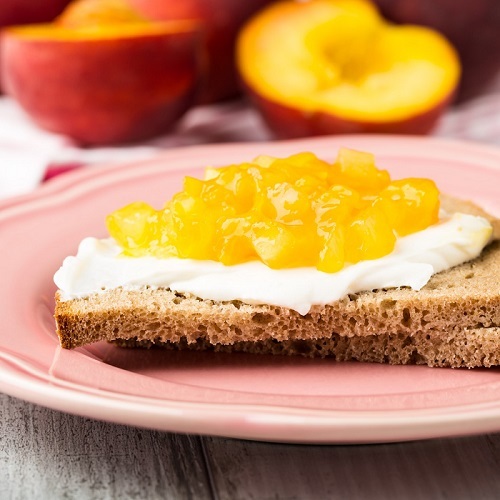 *While Greek yogurt is already strained (thus thicker than regular yogurt), you can very easily further strain it to make a cream cheese-like consistency. Strain Greek yogurt by simply placing a few tablespoons of Greek yogurt in 4 folded paper towels and placing in a bowl in the refrigerator for 30 minutes – or even overnight! The result is a cream cheese consistency but much lower in fat and rich in protein and calcium. What’s better than a make-your-own bento-box style lunch? One that skips the perishable (and overly-processed) deli meats but still delivers on protein and fiber! Fresh, tasty and way more fun! After seeing how fast, fun, and easy these chips are to make, you’ll wonder why anyone buys the kind in the bag. These crunchy snacks are actually good for kids, providing a good source of calcium, iron, and fiber, with a fraction of the calories and fat of packaged tortilla chips. Preheat oven to 400 degrees. Brush both sides of the tortilla with oil. Stack 6 of them together and, using kitchen shears or scissors, cut the stack into 8 triangles, for a total of 48 chips. Repeat with the final 6 tortillas. Scatter the chips in a single layer onto a large cookie sheet and sprinkle them evenly with salt or seasoning of choice. Bake 10 minutes or until crispy and golden brown. Toppings and Dippers: Low-fat shredded jack cheese, shredded lettuce, chopped tomatoes, jicama sticks, corn, or any other of your favorites! Sometimes store-bought hummus flavors can be a bit strong for kids with all the garlic and spices. 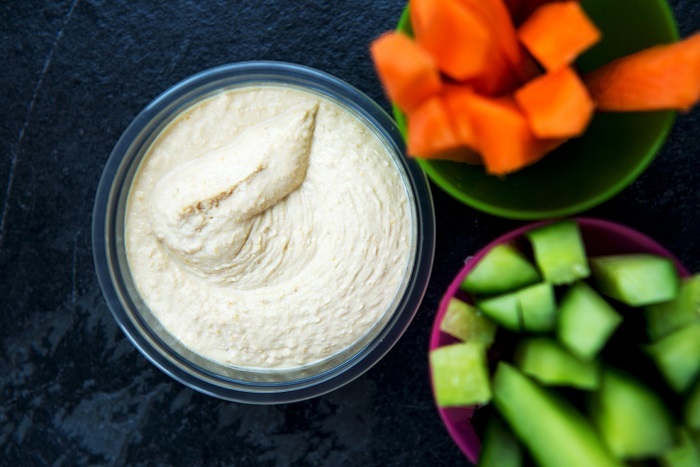 This sweet and pleasant take on hummus is kid-friendly and perfect for a protein-packed lunch! Serve with fun dippers like toasted whole-grain pita chips, cucumber rounds, carrot sticks or homemade tortilla chips. 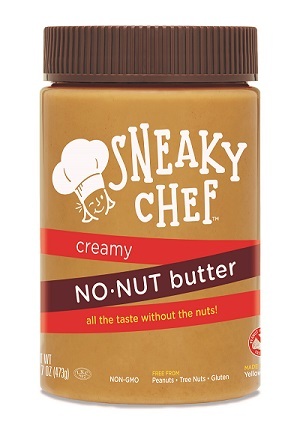 *Sneaky Chef No-Nut Butter is a delicious peanut-butter alternative made from naturally sweet and “nutty” tasting yellow peas, but without a trace of peanuts, tree nuts, seeds, or soy. Feel free to substitute your favorite nut butter or another favorite peanut butter alternative if you prefer.